Jubilee Hall Trust (JHT) is scaling up plans for community outreach programmes in 2016 to reach even more people across three central London Boroughs. Following on from the success of the inaugural 10k trail run in 2015, the charity is planning two events for the coming year. There will be a 2k/5k run on Sunday 5 June in Southwark, and a 5k/10k run on Hampstead Heath on Saturday 17 September. 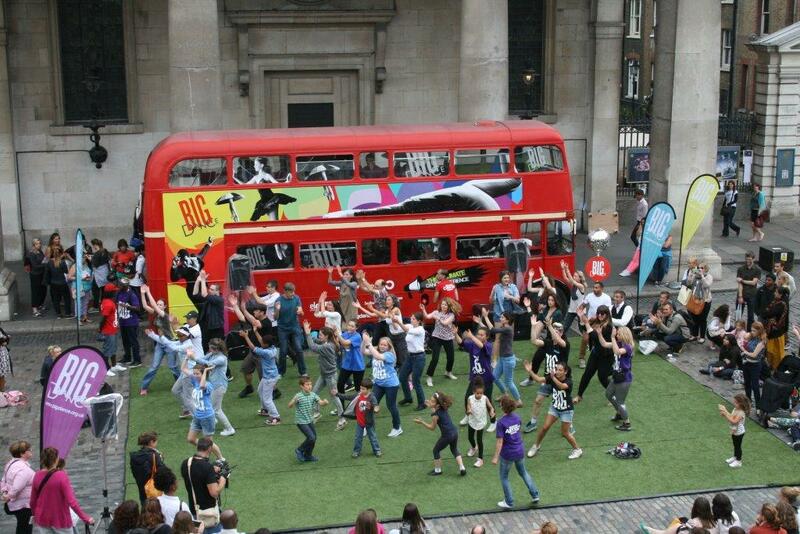 In addition, the Big Dance Bus is booked for 6 July in the iconic Covent Garden Piazza, when more than thirty local community groups will be invited to perform on the stage! JHT’s school partnerships will continue to grow, with an Energy Club at Argyle Primary school in Camden, as well as free after school dance club and fitness classes for parents at Torriano school. Both schools will also benefit from a free summer programme in their Active Spaces. At St. Clement Danes school in Westminster, the charity will continue to offer dance and gymnastics teaching, as well as some new ‘taster’ sessions in other activities. Our Armoury gym continues to host two fitness classes for Camden’s Active All Areas project, as well as marketing and outreach support for these classes and free sessions at the Lismore Circus outdoor gym. We will also be involved in the next phase of Camden Council’s Give it a Go programme for local residents. This is all in addition to our ongoing community work within our gyms, including concession membership offers, GP referral schemes, and free/discounted classes for targeted community groups. Overall, Jubilee Hall Trust is now averaging more than 32,000 total visits per month, across all centres and programmes, 20% of which are free or concessions. This is well on the way towards our ambitious 10-year goal of 1 million visits per year by 2025!